Ordering from artefac is easy, browse our website for pictures and detailed descriptions of all of our chairs & stools, then use our simple, secure and safe online ordering form to make your purchase, we ship every week to all over mainland USA through Fedex, products are wrapped in fabric inside cardboard boxes and they are shrink-wrapped and strapped on pallets, once products arrive in your city you will be contacted to set up delivery time and date, any damage while shipping will be replaced at no extra cost. 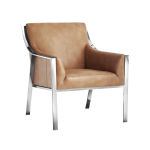 ARTeFAC is proud to carry a wide array of beautiful handcrafted leather armchairs. These armchairs have a wide variety of uses in the home. 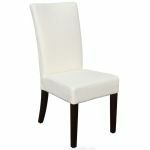 They look stunning at the end of a long dining table, they fit perfectly into a living room or family room sitting area, and they are at home as desk chairs or as places to sit down in the bedroom. 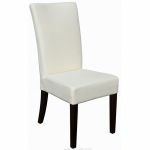 Our leather armchairs are top of the line and are offered to you at some of the lowest prices you'll find anywhere. We carry a full range of styles, from vintage designs and period styles to modern chairs like the famous Barcelona design. However, it doesn't end there. ARTeFAC also has an extensive collection of matching ottomans to pair with your armchairs. Ottomans are traditionally used as footstools, but can also be used as benches, tables and even storage units, as seen in our Storage Leather Ottoman. We take special care to make sure that our ottomans match our leather armchairs in both style and color. With our wide selection, there are endless possibilities for stylish combinations. We make it easy to create an entire sitting area. 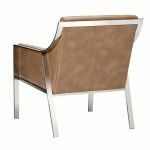 Adding other pieces like our Leather Roman Bench will round out your room to create an elegant gathering place for family and friends. Our leather armchairs and ottomans are competitively priced and our hassle-free online ordering makes for a truly pleasant shopping experience. Great customer service is our number one priority, and we will always go the extra mile to ensure that you are happy with your leather armchair. At ARTeFAC, our customers return to us time and time again and we are extremely proud to be their trusted source for top quality leather chairs.